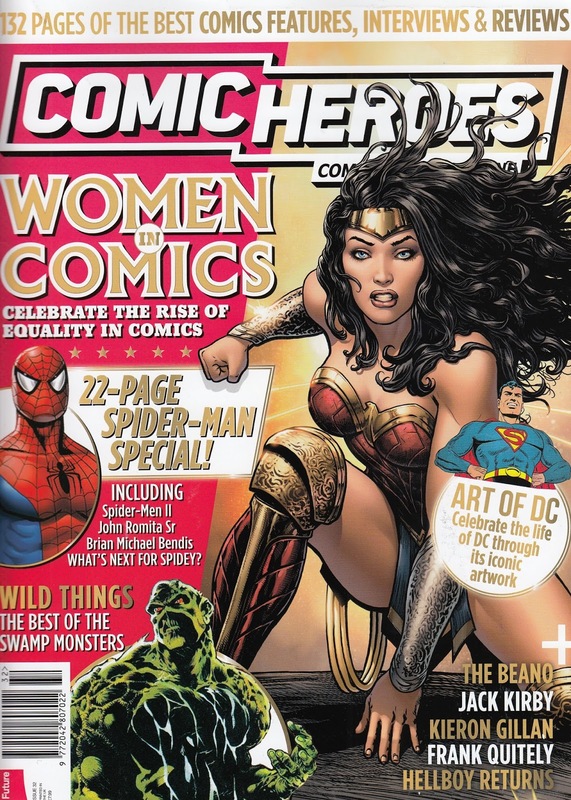 The latest issue, in case you weren't sure celebrates women in comics with a selection of features. So, probably not as much as usual as then, apart from the 4-pages on Flintlock, a comic that I think is great, so I'm vert happy to see it getting so much coverage in the magazine. As ever with Comic Heroes, the font is large, the pictures big (and some of those are really pixellated - which is slightly embarrassing I'd say from a magazine that wants £7.99 of your hard-earned cash). With comics pre-eminent in pop culture at the moment it seems amazing that this is the only magazone out there devoted to comic (heroes) - so, go have a flick through it at a WHSmith store near you now!